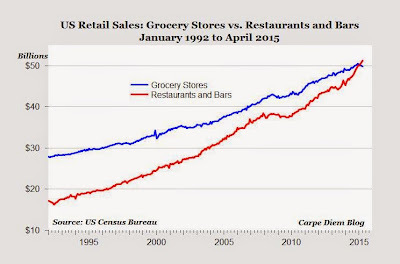 Based on today's Census Bureau report on April retail sales, consumer spending at "Food Services and Drinking Places" (restaurants and bars, see red line) was greater than grocery store sales (blue line) in April for the third straight month, reversing a longstanding pattern of food spending and establishing a new US consumer milestone. As the chart above shows, the spending habits of Americans over the last three months represent the first time in US history that spending on food away from home by Americans has exceeded spending on food at home. In April consumers spent $51.25 billion on food and beverages at restaurants, which was almost $1.5 billion (and about 3%) more than $49.77 billion in grocery store sales for the month. For new posts please visit Carpe Diem's new home at The American Enterprise Institute. Over the next several days, there will be some major changes taking place for the Carpe Diem blog. After six years, almost 10,000 posts, and more than 8 million visits and almost 12 million page views using the Blogger platform, Carpe Diem will become a WordPress blog at a new website. Starting within the next few days, Carpe Diem will be exclusively hosted by The American Enterprise Institutes's new AEIdeas website, which also features Jimmy Pethokoukis's blog as well as other AEI blog "channels" by topic (Economics, Foreign and Defense Policy, Politics and Public Opinion and Society and Culture). Many of the AEI scholars and fellows now regularly blog in the topic areas of the AEIdeas blog including Charles Murray, Andrew Biggs, Marc Thiessen, Michael Auslin, Mackenzie Eaglen, Dani Pletka, Nick Schulz, Karlyn Bowman, Alex Pollock, Ken Green and Arthur Brooks, among others. 2. If you subscribe to the daily email updates of Carpe Diem posts, you should still receive those emails with a summary of posts over the last 24 hours from the new AEIdeas website. 3. If you regularly (or occasionally) leave comments on Carpe Diem, you can still easily make comments at the new AEI website, by providing a name and email address (the email address won’t be published). The comments at the AEIdeas website are moderated before appearing on the AEI website, and I’ll do my best to help with the moderation process to be sure your comments appear as quickly as possible. 4. All of the 9,000 posts in the Carpe Diem archives have been moved to the new AEIdeas website, so they will still be available and searchable by key word. 5. If you follow Carpe Diem by RSS feed, here's the link to the new Carpe Diem RSS feed. Thanks for your loyal readership and I hope you continue to follow Carpe Diem at its new home! Today's "National Home Sales Snapshot" from DQ News is displayed above, which has been updated with U.S. home sales during the last 30 days in 98 of the top 100 MSAs (excludes Louisville and Wichita), and covers about two-thirds of all U.S. home sales. Compared to the same period last year, home sales over the last 30 days have increased by 9.8%, following previous increases in September of 11.3% (last week) and 10.3% (first week of the month). The median home sales price increased nationally by 7.8% above a year ago in the most recent 30-days sales period, which is the highest year-over-year increase during the last six weeks of data displayed above, and reflects a pattern of gradually increasing median home price increases (from 5.3% in mid-August), even though the median price has remained flat at about $200,000. If the redistributionists were serious, what they would want to distribute is the ability to fish, or to be productive in other ways. Knowledge is one of the few things that can be distributed to people without reducing the amount held by others. That would better serve the interests of the poor, but it would not serve the interests of politicians who want to exercise power, and to get the votes of people who are dependent on them. 1. Markets in everything: WiFi enabled, multi-color, energy efficient LED light bulb that you control with your iPhone. 2. "Patchwriting" is more common than plagiarism, and just as dishonest. I guess that's what happened to me, see recent CD post. 3. Almost half (46.3%) of Irish residents buy private health insurance, despite "free" national health insurance. 4. Thanks to the commodity boom, 2012 graduates from the South Dakota School of Mines make more on average than Harvard grads, $56.7k vs. $54.1k. 5. New website archives every TV news program since 2009, and it’s now online and searchable for free. 6. Russia has vast new diamond field containing "trillions of carats," enough to supply global markets for next 3,000 years. 7. Airlines add service in North Dakota's oil patch: Delta to add two daily Minneapolis-Williston flights, United to add three flights from Denver to Williston. 1. Reuters -- "A leading indicator of U.S. construction activity rose last month to its best level in five months, indicating that demand for design services is expanding, an architects' trade group said on Wednesday. The Architecture Billings Index (ABI) rose 1.5 points to a reading of 50.2 in August, according to the American Institute of Architects. Any reading above 50 indicates an increase in demand for architects' services. The ABI is considered a predictor of U.S. construction activity nine to 12 months ahead. A separate measure of inquiries for new projects rose 0.9 points to 57.2, the group said." MP: Both the Billing Index (ABI) and the New Projects Inquiry Index have risen in each of the last three months, and the ABI was at the highest level last month since March, while the inquiry index in August was the highest in six months. 2. Existing U.S. home sales surged in August by 7.8% over July, marking the highest monthly increase in home sales in a year, according to today's National Realtors Association (NAR) report. Compared to last August, home sales this year were 9.3% higher, and last month's increase was the 14th consecutive year-over-year increase in home sales. The median home sales price in August was $187,400, a slight decrease from July's median price of $187,800, but above last August's median price of $171,200 by 9.5%. According to the NAR, "The last time there were six back-to-back monthly price increases from a year earlier was from December 2005 to May 2006. The August increase was the strongest since January 2006 when the median price rose 10.2 percent from a year earlier." Other positive signs from today's report include: a) a reduction in the share of distressed sales in August this year (22%) compared to last year (31%), b) a reduction in the median marketing time from 92 days in August 2011 to 70 days last month (almost one-third of homes sold in August were on the market for less than a month), and c) a drop to only a 6.1 month supply of homes in August at the current sales pace, which except for a 6.0 month supply in January is the lowest inventory level of existing homes for sale since April of 2006. 3. Associated Press -- "U.S. builders started work on more homes in August, driven by the fastest pace of single-family home construction in more than two years. The increase points to steady progress in the housing recovery. The Commerce Department said Wednesday that construction of homes and apartments rose 2.3 percent to a seasonally adjusted annual rate of 750,000 last month. That's up from 733,000 in July, which was revised lower from last month's initial estimate. Single-family housing starts rose 5.5 percent to an annual rate of 535,000 homes, the best pace since April 2010." MP: Single-family home starts last month were the highest for the month of August since 2008, and were 27% above last year, marking the largest year-over-year increase since April 2010. Further, the number building permits issued in August was 24.5% above permits in the same month last year. In both July and August, building permits were above 800,000 in each month, and it's been four years since there has been more than 1.6 million permits issued in a two-month period. Bottom Line: The evidence continues to accumulate pointing to a gradual, but steady housing recovery that is underway in the U.S. As with any economic or housing recovery, it can be expected that the improvements in the U.S. housing market will be somewhat choppy at times. But the fact that most of the main housing indicators (existing-home sales, new home sales, pending sales, housing prices, asking prices, home affordability, etc.) are showing gradual, but consistently positive signs of improvement would support the growing consensus that a sustainable housing recovery is underway. Brian Wesbury et al. at First Trust have described the slowly improving U.S. economy as the "plow horse economy," which keeps moving gradually forward despite the pessimistic media reports of "gloom and doom." Perhaps it would also be appropriate to describe the ongoing recovery in the U.S. real estate market as the "plow horse housing recovery" - which keeps making gradual, but steady improvements month after month. 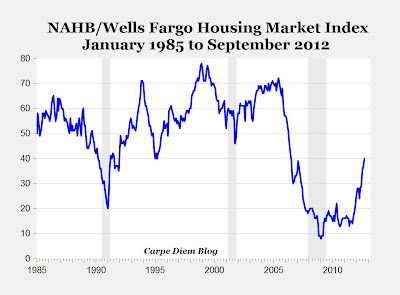 September 18, 2012 – Builder confidence in the market for newly built, single-family homes rose for a fifth consecutive month in September to a level of 40 on the National Association of Home Builders/Wells Fargo Housing Market Index (HMI). This latest three-point gain brings the index to its highest reading since June of 2006 (see chart above). MP: The increase in the builder confidence index in September to a six-year high of 40 is a remarkable recovery from a reading of only 14 a year ago. The 24-point improvement in builder confidence over the last year is the largest 12-month gain in the history of the HMI going back to 1985, and surpasses the previous record of a 24-point annual gain in early 1992. Environmental laws since the 1970s require public input into federal land-use decisions including logging on national forests. This has led to lawsuits challenging efforts by the U.S. Forest Service to prevent forest fires by thinning out trees (most of which are dead or diseased) and brush by machines and carefully controlled burns. This dead wood is the fuel that feeds catastrophic wildfires. Removing the fuel reduces the likelihood of fires, and if fires do break out, makes them easier to fight. Meanwhile, the suppression of fires costs the federal government nearly $2.5 billion annually. A fuels-management project to log and thin 4,800 acres in the Bozeman, Mont., watershed exemplifies the problem. This project has been held up since 2010 on grounds that the environmental-impact assessment did not adequately protect the habitat of the Canadian lynx and the grizzly bear, both listed as threatened species. Now a wildfire threatens the watershed, burning over 10,000 acres and costing more than $2 million to fight. As one firefighter put it, "fire is the environmentalist's way of thinning the forests." From CNBC, based on tickets being sold in the secondary market on StubHub, Ticket Network, eBay, etc. and aggregated by TiqIQ. A recent analysis by Trulia concluded that buying a home today is 45% cheaper on average compared to renting a comparable home, see CD post here. That post generated a lively discussion with about 100 comments, and some questioned some of Trulia's assumptions and analysis (or lack of some key assumptions), although I think the general conclusion is valid that buying a home is relatively affordable today compared to renting a similar home -whether it's 10%, 20%, 30% or 45% cheaper. Another measure of housing affordability is to compare the median household income in the U.S. (or regions) to the qualifying income needed to purchase a median-priced home, and that analysis is reported monthly by the National Association of Realtors based on its Housing Affordability Index (HAI), see chart above. 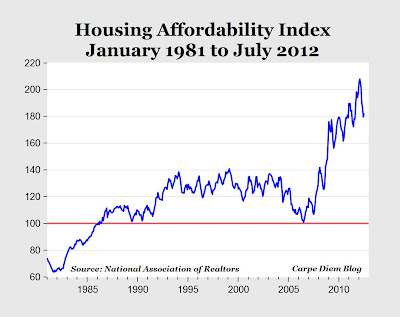 In July, the Housing Affordability Index increased to 182.0 from 179.7 in June, but is down from historical highs for the HAI above 200 in the first three months of 2012. Looking back over the last thirty years, the July HAI of 182 is still very high by historical standards (see chart). An HAI of 182.0 means that the typical American household earning the median annual family income of $61,080 in July would actually have 182% of the standard qualifying income level of $33,552 required to purchase a median-priced existing single-family house ($181,000) with a 20% down payment, financing the remaining 80% of the sales price with a 30-year fixed rate mortgage at the July average of 3.78% (monthly payment of $699 for principal and interest). For the Midwest region of the country, the HAI in July of 219 means that the typical Midwest household income of $60,657 is more than twice the qualifying income ($27,696) necessary to purchase the median price home at $155,400. Bottom Line: Whether comparing buying to renting a home, or comparing the median household income to the qualifying income necessary to purchase a home, homeownerhip today is extremely affordable. 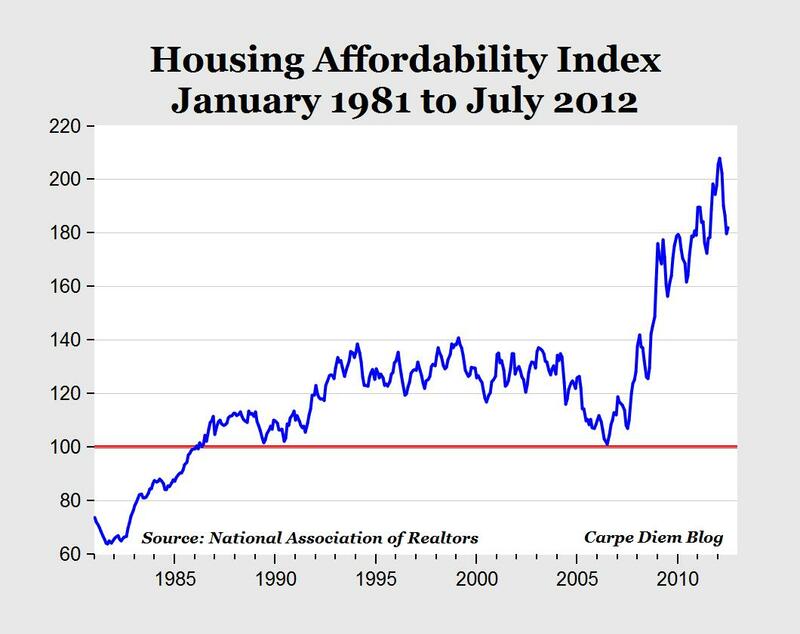 And that historically high affordability is one of the factors that will continue to support the housing recovery taking hold across the country right now. DataQuick -- "An estimated 41,280 new and resale houses and condos sold in California last month, making it the strongest August since 2006. Last month's sales total was up 4.5% from 39,507 in July, and up 9.4% from 37,734 sales in August 2011." "The median price paid for a home in California last month was $281,000, the same as the month before and up 12.9% from $249,000 in August 2011. The July and August median was the highest since September 2008, when it was $283,000. August marked the sixth consecutive month in which the state's median sale price rose year-over-year." "Of the existing homes sold in August, 20% were properties that had been foreclosed on during the past year. That was down from a revised 21.7% in July and down from 34.3% a year earlier. Last month's figure was the lowest for any month since foreclosure resales made up 18.3% of the resale market in November 2007." 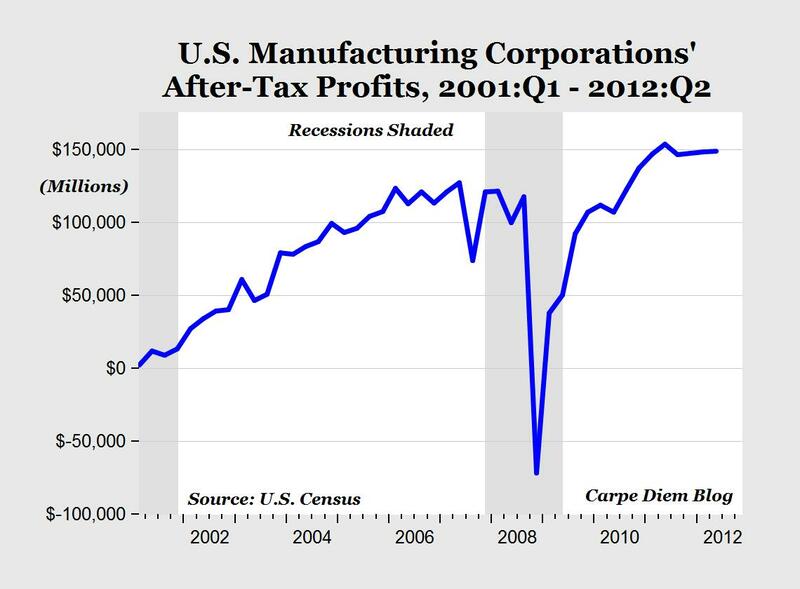 MP: Isn't this exactly what a housing recovery looks like? California home sales were the highest in six years for the month of August and up almost 10% from a year ago, the median sales price was the highest in almost four years and up almost 13% from last year, median prices have increased year-over-year for the last six months, and the share of foreclosure sales in August was the lowest in almost five years. If this isn't a real housing recovery in California, how would a real recovery be different? In the above 1978 lecture at Kansas State University, Milton Friedman discusses free trade, and explains why trade protection and interference in international trade are so widespread, despite the almost universal condemnation of such measures by the economics profession. In the international trade area, the language is almost always about how we must export, and what’s really good is an industry that produces exports. And if we buy from abroad and import, that’s bad. But surely that’s upside-down. What we send abroad we can’t eat, we can’t wear, we can’t use for our houses. 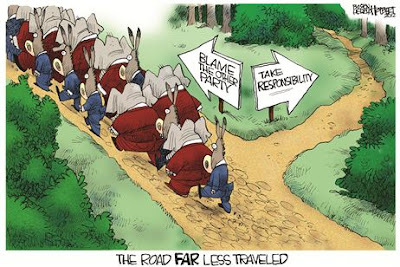 The goods and services we send abroad, are goods and services not available to us. 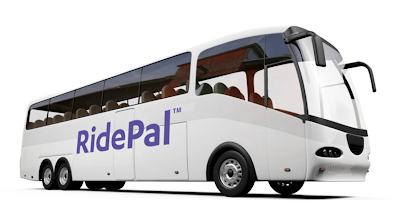 On the other hand, the goods and services we import, they provide us with TV sets we can watch, automobiles we can drive, with all sorts of nice things for us to use. The gain from foreign trade is what we import. What we export is the cost of getting those imports. And the proper objective for a nation as Adam Smith put it, is to arrange things, so we get as large a volume of imports as possible, for as small a volume of exports as possible. In other words, in economic terms, our standard of living is highest when we maximize imports and minimize exports, which is exactly the opposite of the political thinking and policies, which generally seek to maximize exports and minimize imports. From the Bloomberg article "Why Is It So Hard to Become a Cosmetologist in America?" "The average cosmetologist in the U.S. trains for 372 days before earning a license. The average emergency medical technician spends 33 days in training. From this, one might conclude that Americans are obsessed with primping but tragically unprepared for emergencies." "Actually, the disparity merely confirms what a muddle the process of occupational licensing is. In 1952, fewer than 5 percent of U.S. workers required a state license. By 2006, according to a survey that year by the Gallup Organization, 29 percent of workers said they needed a government-issued license to do their job." 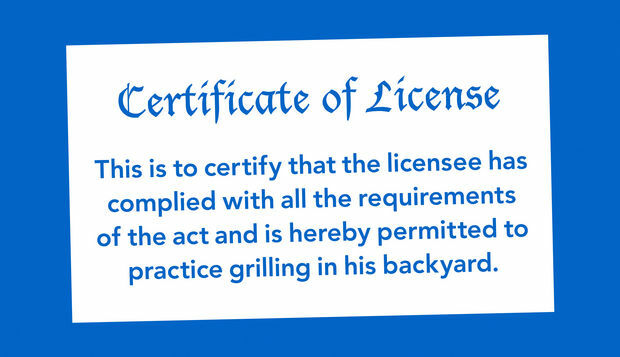 "A study released in May by the libertarian Institute for Justice makes a compelling case that occupational licensing requirements in many states have run amok. Some licensees, including EMTs, have life-or-death responsibility. Others handle hazardous chemicals. Too many, however, are in occupations for which a natural inclination and a short apprenticeship should provide more than sufficient preparation. Why, for example, do florists, funeral attendants or shampooers need a license to work?" If you keep your promise to impose countervailing duties on imports from China you will thereby break your promise to not raise taxes on the American people. (Americans who buy imports from China are, after all, American people.) But if you keep your promise to not raise taxes on the American people, you must – as I hope you will – break your promise to punitively tax those many Americans who buy imports from China. MP: It's a simple, but often neglected point that a tariff or duty on imports is just another word for a sales-type tax on imported goods, and those tariffs/taxes/duties are not imposed on China or other U.S. trade partners, they are imposed on, and paid for by, Americans (consumers and businesses) who purchase foreign-produced goods. "The American news media continues to report the body count in Mexico’s “War on Drugs” at more than 50,000 dead. But Molly Molloy, a researcher at New Mexico State University, tallies more than 100,000 Mexicans killed to wage a war financed and mandated by American authorities and led by Mexican president Felipe Calderón." From the article "Mexicans Pay in Blood for America's War on Drugs." Note: That would be a casualty count that approaches the U.S. body count during WWI (116,500 deaths) and more than the combined American casualties during the Korean War (36,500 deaths) and the Vietnam War (58,000 deaths). Methodology: Trulia looks at homes listed for sale and for rent on its website, and compares the average rent and asking price for an identical set of properties in a metro area, for a direct apples-to-apples comparison. Then, Trulia factors in the total costs of homeownership (e.g., closing costs, maintenance, insurance, taxes, etc) and total cost of renting (e.g., renter’s insurance and security deposit). The starting assumptions are that a prospective homebuyer can get a low mortgage rate of 3.5 percent, itemizes their federal tax deductions, is in the 25 percent tax bracket, and will stay in their home for seven years. To account for the opportunity costs, Trulia calculates the net present value of the payment streams for renting and owning. Conclusion: With a 20% down payment, a 30-year fixed mortgage rate at 3.5% and at the 25% federal tax bracket, Trulia finds that homeownership is cheaper than renting in all of the 100 largest metros by a wide margin. There is no market where the financial decision is even close, so long as you plan to stay in the home for at least seven years, finance with a 3.5% mortgage, and itemize your tax deductions. Based on asking prices and rents during the summer of 2012, buying is now 45% cheaper than renting in the 100 largest U.S. metros, on average – that’s a monthly savings of $771. If you plan to stay in a home for 7 years, which is the average time that Americans traditionally live in a home before moving again, it is more affordable to buy than to rent in ALL of the 100 largest metros in the U.S.
MP: Trulia's analysis would indicate that the incredible affordability of buying a home today compared to renting will provide some support to the ongoing housing recovery over the next few years. Of course, rising home prices and mortgage rates could eventually reduce some the current huge advantage of buying versus renting, depending on how fast rents rise compared to home prices. And as Trulia's economist points out, many would-be homebuyers don't have the 20% down payment assumed in this analysis, and might not be able to save up that amount in the short run to take advantage of the historical affordability of homeownership. But on the other hand, FHA is providing mortgages with only a 3-5% down payment, so the lack of a 20% down payment might not be much of a constraint. Also, the 45% advantage for homeownership versus renting is the average. In metro areas like Oklahoma City, the monthly cost of owning a home ($590) is as much as 63% lower than renting a comparable home ($1,576). It make sense that such a huge cost difference would have to start translating into increased demand for home purchases, and that's probably one of the factors contributing to increased home sales around the country. Another example is Minneapolis - the monthly cost of buying a home there ($751) is 52% cheaper than renting ($1,558), which translates into monthly savings of $807 for homebuyers compared to renters (of a comparable house), and that huge savings is likely what is driving home sales higher in the Twin Cities (see CD post below). 1. Closed home sales during the month of August in the Twin Cities increased by 12.3% above last year, and by 45.6% above two years ago. On a year-to-date basis, the 27,413 homes sold so far this year is the highest for any January-August period since 2006. 2. Pending home sales in August (4,877) were 19.5% higher than the same month last year, and 36.3% higher than August 2010. 3. The average marketing time for houses sold in August was 107 days, down from 141 days last year and 131 days in 2010, and was the shortest average marketing time since at least 2006 (except for the 106 days in July of this year). 4. The median sales price in July was $179,000, a 15.5% increase over last year and a five-year high for the month of August. The median price increase in August was the largest year-over-year gain since January 2004 and the sixth straight month of year-over-year increases. 5. The average sale price as a percent of list price in the Minneapolis area was 95.1% in August, the highest percentage for an August since 2007, and above the 91.2% average for the months of August in 2010 and 2011. 6. The "months supply of inventory" in August was down to only 4.1 months, the lowest level in almost 7 years, since the fall of 2005. 7. The inventory of Twin Cities homes for sale in August was only 16,806, the lowest inventory level since December 2003. MP: By every relevant measure (double-digit increases in median sales price, closed sales and pending sales; ongoing decreases in average marketing time and increases in the percent of list price received, etc. ), the real estate market in the Minneapolis-St. Paul Area is experiencing a strong and robust recovery this year, and the housing market conditions there are reflected very closely in many other metro areas around the country. To quote Brian Wesbury et al. at First Trust, "This is what a housing recovery looks like." In fact, with the home inventory level in the Twin Cities currently at a nine-year low and the months supply of homes at a seven-year low, the biggest challenge for the Minneapolis-area real estate market is now a shortage of homes for sale relative to the increasing demand as rents rise and interest rates remain near historically low levels. With the tight supply of homes listed for sale and more buyers coming into the market, we can expect multiple offers and further increases in home prices going forward in the Minneapolis area. Continued increases in home prices will eventually result in more homes being put on the market for sale, which will boost inventory levels and contribute to a sustainable cycle of recovery for the Twin Cities housing market. "There's reason for optimism going into the last third of 2012 and even into 2013, and housing is actually playing a large role in that positive outlook." CD Post Re-Written by a Montana TV Station? CD: North Dakota pumped another record amount of crude oil during the month of July at a rate of more than 674,000 barrels per day. KTVQ: In July, North Dakota pumped a record amount of crude, at a rate of more than 674,000 barrels a day. CD: The state’s oil production in July was 59% above a year ago. KTVQ: Compared to a year ago, July's production level was up 59%. CD: North Dakota produced 62% more oil than Alaska in July, marking the fifth consecutive month that North Dakota has out-produced Alaska. The Peace Garden State surpassed Alaska’s oil production for the first time in March to become the country’s new No. 2 oil state, behind only Texas now. 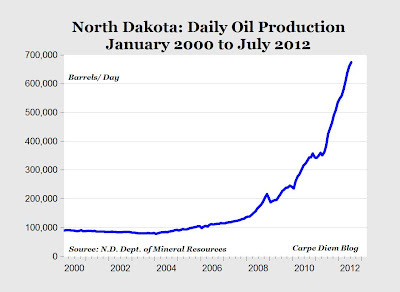 KTVQ: July marked the fifth month in a row that the state of North Dakota produced more oil than Alaska. It was back in March that North Dakota surpassed Alaska's in oil production for the first time to become America's second biggest oil state. CD: North Dakota continues to lead the nation with the lowest state unemployment rate at 3 percent in July, and more than five percentage points below the national average. KTVQ: North Dakota also continues to lead the nation with the lowest unemployment rate at just 3 percent - more than five percentage points below the national average. The Institute for Justice is reporting that a woman in Nebraska could face up to 20 years in prison for massaging horses without a license. 1. DQ News -- "Southern California home sales rose to the highest level for the month of August in six years, fueled by low mortgage rates, a healthier move-up market and near-record levels of investor and cash buying. The median price paid for a home rose to a four-year high, lifted partly by the ongoing shift toward fewer foreclosure resales and more mid- to high-end deals." 2. DQ News -- "The Bay Area posted its strongest home sales for the month of August in six years, the result of low mortgage interest rates, an improving economy and increasing demand in mid- to move-up market segments. The median price paid for a home eased back a notch from June and July, but was well ahead of last year for the fifth consecutive month." 3. The Bloomberg U.S. Financial Conditions Index closed today at the highest level since early July 2007, more than five years ago. The index is updated daily by Bloomberg, and assesses the relative strength/weakness of the U.S. money market, bond market and equity market, and is considered a useful gauge of bank lending conditions and the overall availability of credit in the economy. 4. The S&P 500 Equal Weighted Index closed today at the highest level in the index's history, which goes back to 2003. 5. According to yesterday's September MarketPulse Report from CoreLogic, "the housing market is accelerating in all areas, sales are up, mortgage performance is improving, and prices are rapidly improving." 6. The S&P 500 Homebuilders Index closed today at the highest level since early August 2007, more than five years ago. Upcoming Documentary on America's Longest War: The War on Drugs, "A Holocaust in Slow Motion"
"Filmed in more than twenty states, THE HOUSE I LIVE IN tells the stories of individuals at all levels of America’s War on Drugs. From the dealer to the narcotics officer, the inmate to the federal judge, the film offers a penetrating look inside America’s criminal justice system, revealing the profound human rights implications of U.S. drug policy." "The Drug War is a holocaust in slow motion." "The Drug War is a war on all Americans." "You have to understand that the War on Drugs has never been about drugs." Two years after he was elected president in 1969, Richard Nixon first used the phrase "war on drugs," in a tough speech on drug policy. Four decades and more than 40 million drug-related crimes later, the war on drugs is still simmering. And now, just months before the presidential election, a new documentary "The House I Live In" explores the ways in which that war could be rethought. The film also implicates President Barack Obama, who promised a compassionate drug policy while running for president but requested $25.6 billion for drug enforcement in 2013—the highest yearly total ever. A reviewer from The Boston Globe says "I'd hate to imply that it's your civic duty to see "The House I Live In" but guess what - it is." The movie will be in theaters on October 5. 1. "The number of improving housing markets across the country rose to 99 in September, according to the National Association of Home Builders/First American Improving Markets Index (IMI), released this week. This is up from 80 metros that were listed as improving in August and includes representatives from 33 states as well as the District of Columbia. The IMI identifies metropolitan areas that have shown improvement from their respective troughs in housing permits, employment and house prices for at least six consecutive months." “More metros across the country are experiencing a sustained uptick in house prices, employment and new building activity as rising consumer confidence in local market conditions pushes more people to consider a new-home purchase,” observed NAHB Chief Economist David Crowe. “Combined with recent positive reports on builder confidence, housing starts and new-home sales, the September IMI adds to the growing consensus that housing is finally moving in the right direction, which in turn is spurring more potential buyers to get off the fence,” added Kurt Pfotenhauer, vice chairman at First American Title Insurance Company. 2. "Des Moines area home sales spiked 27% in August over a year earlier and climbed nearly 11% over July, a report from the Des Moines Association of Realtors today shows. The average sale price pushed 3.3% higher to $172,839 in August over a year earlier. Pending sales climbed 13.1% to 897 in August over a year ago. In August, homes were on the market an average of 98 days, 14 days fewer than 112 days in August 2011. Homes were on the market five days fewer than in July." 3. The S&P Homebuilders ETF (XHB) tracks the "S&P Homebuilders Select Industry Index" and includes holdings of Pulte Homes, Standard Pacific, Toll Brothers, MDC Holdings, USG and other homebuilders, construction companies, and companies that supply products to homebuilders or home buyers. The XHB closed Wednesday at 24.87, the highest level since August 2007 more than five years ago. Over the last year the XHB is up by 74%, or more than three times the 23.3% increase in the S&P 500 Index. 4. "CoreLogic today released a new analysis showing that 10.8 million, or 22.3%, of all residential properties with a mortgage were in negative equity at the end of the second quarter of 2012. This is down from 11.4 million properties, or 23.7%, at the end of the first quarter of 2012. Approximately 600,000 borrowers reached a state of positive equity at the end of the second quarter of 2012, adding to the more than 700,000 borrowers that moved into positive equity in the first quarter of this year." "Most borrowers in negative equity are continuing to pay their mortgages. The share of borrowers that were underwater and current on their payments was 84.9% at the end of the second quarter in 2012. 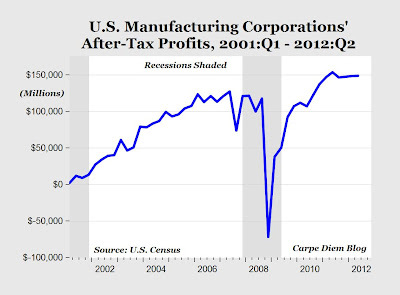 This is up from 84.8% at the end of the first quarter in 2012." 5. DQNews updated its National Home Sales Snapshot today and reports that national homes sales for the most recent 30 days of home sales increased 11.3% compared to the comparable period last year, and the median sales price increased by 7.5%. DQNews' home sales snapshot is based on 98 of the Top 100 U.S. metro areas, and covers about two-thirds of the nation's home sales. 1) The state’s oil production in July was 59% above a year ago, and followed annual increases of 71.1% in June and 75.5% in May. 2) North Dakota produced 62% more oil than Alaska in July, marking the fifth consecutive month that North Dakota has out-produced Alaska. The Peace Garden State surpassed Alaska’s oil production for the first time in March to become the country’s new No. 2 oil state, behind only Texas now. 3) The number of oil wells in North Dakota increased to 7,303 in July establishing a new state record for active wells. 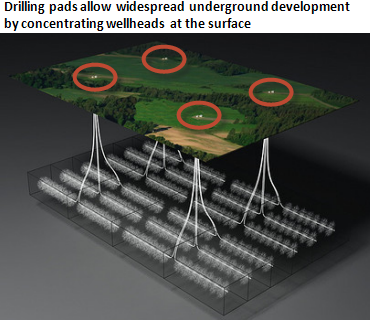 Over the last year through July, an average of almost seven new oil wells were put into production every business day, and each of those new wells is the equivalent of adding a new $8-10 million business to the state’s economy, see recent CD post for more details. 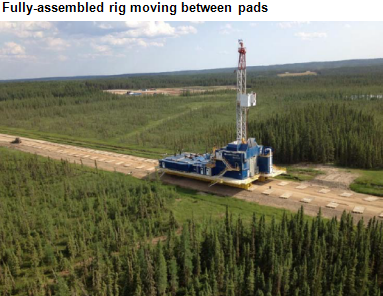 4) The amount of oil produced per active well in North Dakota increased to 2,861 barrels during the month of July, which was almost 20% above the oil output per well during July last year, and likely reflects the increased efficiency gains from advanced drilling technologies like “pad drilling” that are gaining popularity. As a result of the state’s oil boom, North Dakota continues to lead the nation with the lowest state unemployment rate at 3% in July, and more than five percentage points below the national average of 8.1%. There were ten North Dakota counties with jobless rates below 2.0% in July, and Williams County, which is at the center of the Bakken oil boom, continues to boast the lowest county jobless rate in the country at just 0.7%. The exponential growth in North Dakota oil production has fueled exponential growth in the state’s oil and gas jobs, which have tripled in less than three years. Overall employment throughout the entire state has increased 6.8% over the last twelve months, almost five times the tepid 1.4% pace of job growth nationally during that period. Bottom Line: July’s record-setting oil production in North Dakota continues to make it the most economically successful state in America, with record levels of employment and income growth, the lowest state jobless rate in the country, a state budget surplus of $1 billion, the lowest home foreclosure rate in the country, strong housing and construction markets, and jobless rates in ten of the state’s counties below 2.0%. North Dakota’s economic success, job creation, and energy-based prosperity is being driven by the development of the state’s vast energy resources, especially the ocean of shale oil in the state’s Bakken region. It’s an economic model that could easily spread energy prosperity elsewhere if more domestic energy resources were opened up to greater exploration and drilling for oil and natural gas.